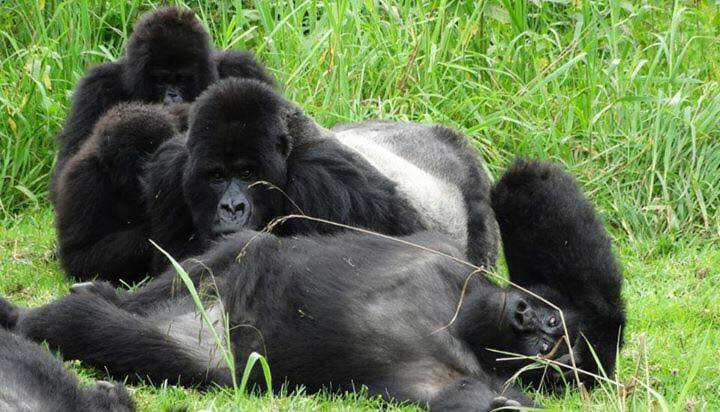 This safari will take you to Bwindi Impenetrable national park for Mountain Gorilla Trekking and Lake Bunyonyi “the lake of Birds” for ralaxation and serenity. Bwindi Impenetrable National Park is home to half of the remaining mountain Gorillas in the World today and that’s why it is a popular Tourist Destinantion in the World today. Lake Bunyonyi is a sanctuary for birds. A very beautiful lake with 29 islands which might make you feel like you are out of Africa. Lake bunyonyi is the second deepest lake in Africa after lake Tanganyika but it’s being always calm enables Canoeing and a Nature Walk on these historic islands is very rewarding. Meet our company representative from your hotel/residence. This is your driver guide, very knowledgeable and has a great driving experience. Make use of him by asking anything you want to know about Uganda be it off the trip line. We get a Lunch stop in Mbarara "the land of milk", evidenced by the presence of the long horned cattle along way . After lunch we continue to our lodge which is either close or in the Bwindi forest. We wake up early in the morning for the highlight of our tour GORILLA TREKKING. After breakfast we assemble at the briefing point of the park offices, before being guided in to the forest by the park ranger guide and escorted by the touring police against any threat be it from forest Elephants, Buffalos and wild Gorillas. After tracking and finding the Gorillas, we have an hour with them and then track back to the lodge after having our life time experience. 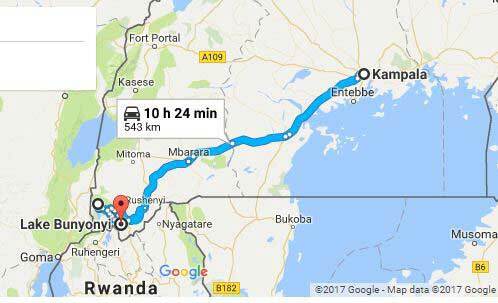 After breakfast you continue driving further south to Lake Bunyonyi. A very beautiful lake with 29 islands which might make you feel like you are out of Africa. Lake bunyonyi is the second deepest lake in Africa after lake Tanganyika but it’s being always calm enables Canoeing and a Nature walk on these historic islands is very rewarding. Lake Bunyonyi is so breathtaking and canoeing on this lake is a highlight. On this day you will relax on this lake and have a tour of the different islands that make up this lake. After the morning breakfast, we embark on our route back to Kampala /Entebbe. A hot lunch stop in Mbarara. We drive through Lake Mburo national park and on lucky day we can spot Zebras and Impalas. We can stop at Mpambire drum making village on Masaka road for Souvenirs then continue to our destination.